Snapchat's birthday filter has become a popular way to create a unique, celebratory twist to birthday pictures and messages for users and their friends. The feature helps users by reminding them of friend's birthdays and prompting them to send celebratory snaps with a special one-day-only birthday filter. It's very easy to get in on the fun! The Snapchat birthday feature allows users to add two special filters. One can be used to add digital confetti to photos, while the other lets users know their friends birthdays by placing cake emojis next to their names. 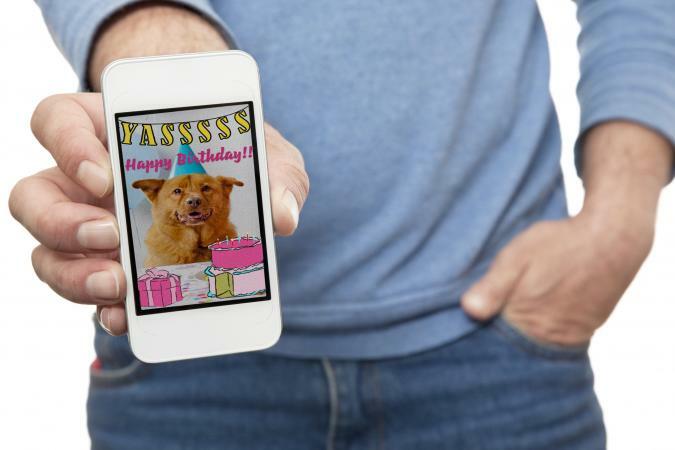 You can also double tap and automatically send birthday photos to your friends. To use the birthday Snap filter, you have to enable the option in the Snapchat app. Open the app and go to "Settings." Make sure that Snapchat is updated to the latest version. Select "My Account" and tap on "Birthday." Once the birthdate is correct, hit "Okay." 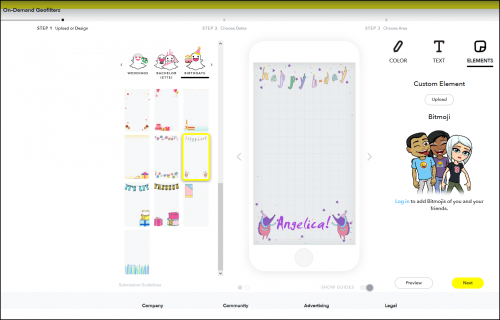 Snapchat makes it quick and easy to create a custom birthday filter using a four-step process on their website. You have to log in to make use of this feature. Upload or Design: Either select "Birthdays" under "Design Online" and design your own filter, or upload one you've already made in Photoshop or Illustrator. Uploaded filters must be 1080 pixels wide by 1920 pixels high, be saved as a PNG file with a transparent background, and be under 300 KB in size. 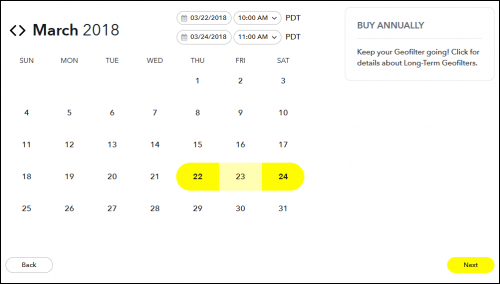 Choose Dates: Select up to a 24-hour period starting on your birthday, including AM/PM and the date. Choose Area: Select a geofence where your filter can used on your birthday. To do so, create a rhombus on the map by clicking repeatedly. 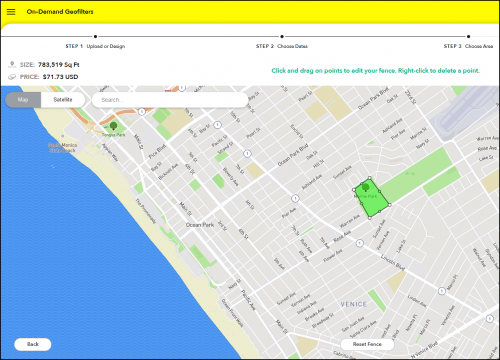 The geofence must be under 50 million square feet (about 1.8 square miles). Submit: After reviewing the order summary, you will be asked to enter payment information for your filter, which can be as low as five dollars. Once submitted, your geofilter may take several days to get approved, so take that into account. 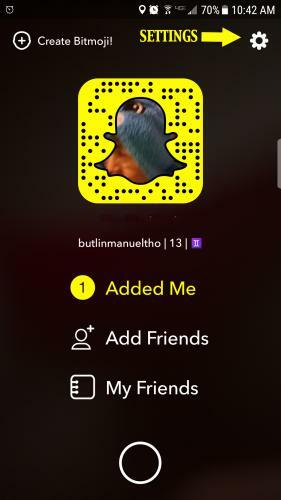 To ensure that Snapchat approves your filter, avoid including web addresses, photos of people, street addresses, profanity, inappropriate images, last names or hashtags. Pending approval from Snapchat, you can begin using your custom birthday filter at the time and location you set up. Whether you always know your nearest and dearest's birthday by heart or forgot until the last minute, Snapchat has you covered. For celebrating your birthday or wishing friends well, birthday filters let you add a touch of flair, letting someone know you're thinking of them. Check the On-Demand Geofilters page on the Snapchat website for more filter ideas.